Two matters that happened in New York, came to the media attention last week. The Kiryas Joel affair: "Sexual abuse" or FBI abuse? M.N. : I did not see anything "sexual" in the principal's interactions with the boy, if it is indeed the same "viral" video. It looks like he was trying to talk to the boy and to help him "to behave", as he saw it. A number of questions arise. 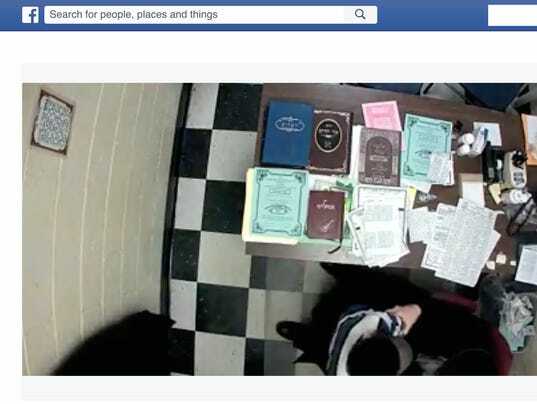 Who installed a hidden camera in principal's office (on the ceiling or the floor above, it looks like) and why? Was this installation legal and authorized (by whom?) or not? How this video, which does not really contain much, was made "viral" (by possible cyber manipulations) and by whom? Was this video "doctored", as some residents of the community claim, and by whom? Given this community long standing problems, including the legal ones with its neighbors, is this a part of the attempt to blacken it and to stop its expansion? Is someone trying to mislead and to manipulate the FBI in these matters? V. Bukovsky's might be a case in point, by the way, although in a different jurisdiction. How common or uncommon these false allegations and accusations of sexual abuse are? How common or uncommon are their legal prosecutions, what are the rates of convictions and the rates of wrongful convictions, for this matter? "One retired F.B.I. agentwho worked with me to investigate many claims in the Clergy Cases told me, in his opinion, about ONE-HALF of the claims made in the Clergy Cases were either entirely false or so greatly exaggerated that the truth would not have supported a prosecutable claim for childhood sexual abuse." To what extent are these falsities a product of "tense times" (9/11 shocked the country to its foundations, emotionally, psychologically, and morally), old puritanical traditions and mindsets, new religious zealotries and possible malicious, deliberate intents and designs, including hostile intents and designs on a large scale? After all, Putin was deeply insulted by the accusations, allegations or allusions of "his pedophilia", after kissing a boy on a stomach, which, also by the way, were unfounded, inappropriate, low blow, and indeed, insulting, in my view. It is quite conceivable, that his "agentura" hit back, using this theme and subject for their own purposes, in accordance with their old and favorite principle of psychological projection: "You are this yourself!" A variety of other reasons, besides the political, are possible in false allegations. Is there someone inside the FBI who facilitates these attempts, for a variety of known and unknown, and their own reasons? Is their sexual abuse unit in orgiastic overdrive?What is the degree of psychological projection in their exploits? How many child molesters and abusers are among their own valiant midst? Was this ever checked out statistically and on a large scale? Some individual cases exist and are known. Children have to be protected from sexual and any other abuse, there are no two words or opinions about it. But so are the adults, including the protections from the judicial and FBI abuse, which can be no less hurtful and destructive than sexual abuse of children. The very thorough and independent investigation of all these issues, including the FBI involvement and its circumstances should shed some light on these and other important questions. NYPD Deputy Inspector Michael Ameri was found dead of a self-inflicted gunshot wound Friday. He spoke his piece of truth to power: "you make me sick to death..."
Was he pressured to testify against his fellow officers? Was he used as an informant in this investigation? What made him kill himself? "Psychological autopsy" - an attempt to understand the causative factors of suicide, becomes in his case not only medical or psychiatric task, but the social and political issue. It was definitely a scream of protest on his part. What went wrong? What was wrong? What is wrong with the FBI: its strategy, tactics, technics and methods if they lead to these unexpected and tragic results? Investigate this, from all points of view: psychological, social, police work, FBI work, legal, ethical, political. To prevent it. Because no one needs this type of outcome and this type of "justice" or this type of "law and order". The recent string of the "bad FBI publicity" (and their publicity they take very seriouslyand try to manage it very carefully and persistently, and usually in one direction - it is one of the foundations of their illusion of power; to sooth themselves and to hypnotize, intimidate andcontrol the others): ex-Sen. Graham handling, Whitey Bulger perjury case, etc., etc., and now - this, tells us that something is wrong with the FBI and with the ways they operate. Some other questions came to me later. They might sound naive to the insiders, but feel reasonable to me and possibly others as outsiders: Why wasn't this whole matter referred to the NYPD Internal Affairs Department? They investigate much more serious violations. A companion question: why NYPD Internal Affairs did not know about all this in a first place? And if they did know, why didn't they act on it? Did NYPD - FBI rivalryplay its role? Is this whole inquiry at least in part politically motivated?Is this an attempt on FBI part to subdue and control the NYPD? Are some other political undercurrents there? No doubts, this probe undermined the authority of NYPD Internal Affairs and the authority of the Police Commissioner. Was this one of the goals and purposes of this probe? With regard to Mr. E. Mullins calls for Commissioner Bratton's resignation, my reaction is: "be careful what you wish for", these calls are hardly appropriate and this matter is not under your purview. In principle, police corruptioncannot be tolerated, it is dangerous and unseemly, especially for the finest police department in the country. But, retaining our most stringent attitude to this problem and without condoning the misconduct, let us put this current probe into the perspective. What is the total dollar amount of "lavish gifts, travels and "diamonds", etc., and the amount per violator? Did the "favors" negatively interfere with police work? Isn't providing security (for funerals, etc.) a part of the police work anyway? How "massive"is the scale? Put the exact dollar amount on it, without using the emotionally charged words and media manipulation. FBI has its work cut for it with the really massive corruption in the industries, financial institutions and politics. For some reasons it preferred to concentrate on NYPD. They hunt for the miserable bag of the miserable peanuts and the others are left holding the body bag. 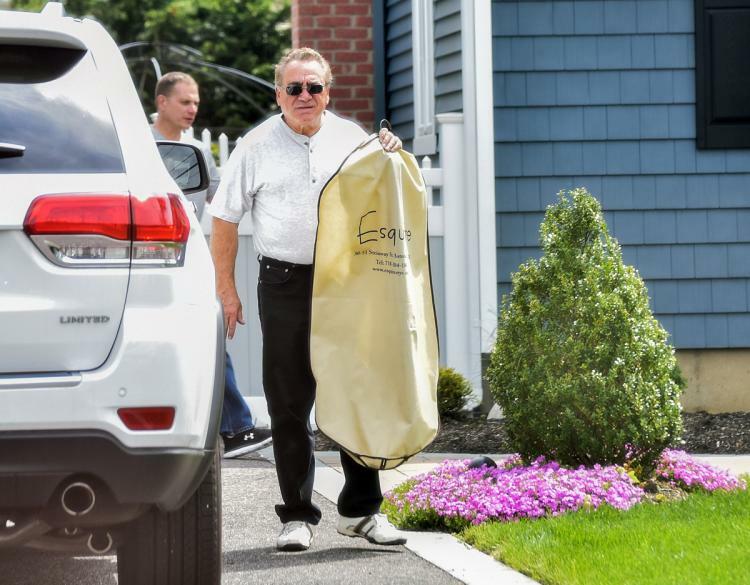 Robert Ameri, father of Michael Ameri, leaves his son's house Saturday afternoon in West Babylon, Long Island. Investigate the investigators!Reform the FBI! The Kiryas Joel affair: "Sexual abuse" or FBI abuse? | Michael Ameri's suicide as a protest against the FBI: What is wrong with the FBI: its strategy, tactics, technics and methods if they lead to these unexpected and tragic results? Links and References - What is wrong with the FBI? NEWS: The World and Global Security Review: What is wrong with the FBI? The FBI is responding by attempting to transform itself into an agency that can prevent terrorist acts, rather than react to them as crimes. The major component of this effort is restructuring and upgrading of its various intelligence support units into a formal and integrated intelligence program, which includes the adoption of new operational practices, and the improvement of its information technology. FBI Director Robert S. Mueller, III, has introduced reforms to curb the autonomy of the organization's 56 field offices by consolidating and centralizing FBI Headquarters control over all counterterrorism and counterintelligence cases. He has also established (1) an Executive Assistant Director for Intelligence (EAD-I); (2) an Office of Intelligence to exercise control over the FBI's historically fragmented intelligence elements; and (3) field intelligence groups to collect, analyze, and disseminate intelligence. Reactions to these FBI reforms are mixed. Critics contend the reforms are too limited and have implementation problems. More fundamentally, they argue that the gulf between law enforcement and intelligence cultures is so wide, that the FBI's reforms, as proposed, are unlikely to succeed. They believe the FBI will remain essentially a reactive law enforcement agency, significantly constrained in its ability to collect and exploit effectively intelligence in preventing terrorist acts. Supporters counter that the FBI can successfully address its deficiencies, particularly its intelligence shortcomings, and that the Director's intelligence reforms are appropriate for what needs to be done. They argue that the FBI is unique among federal agencies, because it supplies the critical ingredient to a successful war against terrorism in the U.S. -- unmatched law enforcement capabilities integrated with an improving intelligence program. The congressional oversight role includes deciding on whether to accept, modify, or reject the FBI's intelligence reforms currently underway. Congress may consider several options, ranging from support of the FBI's current reforms, to establishing a stand-alone domestic intelligence service entirely independent of the FBI. Congress may also reevaluate how it conducts oversight of the FBI. Pending legislation on FBI intelligence reform includes, but is not limited to, S. 410, The Foreign Intelligence Collection Improvement Act of 2003, and S. 1520, The 9-11 Memorial Intelligence Reform Act. "Terrorists for the FBI:" How the FBI Uses Informants to Surveil and Entrap Americans | Democracy Now! Kiryas Joel: Theocracy in America? Former Florida senator Bob Graham caused a stir when he used the term “aggressive deception” to describe the FBI’s treatment of 28 pages from a 2003 congressional inquiry into the 9/11 attacks. The word choice was intentional, the co-chair of the investigation of the 9/11 terrorist attacks told The Daily Beast, because to Graham, what the FBI did was worse than the conventional Washington cover up. It’s an explosive charge, a hair’s breadth away from calling the highest law enforcement officials liars, but when Graham lays out the sequence of events that brought him—a former chairman of the Senate Intelligence Committee— to level such a broadside, his ire is understandable. The last few years have pitted him against not only the FBI but also a range of government agencies and officials determined to keep under wraps information about Saudi involvement in the 9/11 attacks, which he believes the public has the right to know. For Graham, getting this information to the public has been a lonely crusade—until recently. He finally succeeded, after months of trying, in getting an appointment scheduled for today with Director of National Intelligence James Clapper, who is overseeing the administration’s review of the 28 pages with an eye to releasing them. Former Navy Secretary John Lehman, a member of the 9/11 Commission, told The Guardian that there is “clear evidence” that Saudis working for the Saudi government aided the hijackers, joining other Commission members calling for the public’s right to know. After a 60 Minutes segment aired last month on the 28 pages, the White House called to tell Graham the decision would be made soon. When he pressed for a firmer deadline, he was told one to two months. Still, he cautions the time line is not a guarantee of release, but rather a decision on whether or not to release the pages. Some of the 28-page chapter was not classified, but it was redacted, and he had it in front of him when we talked on the phone. “Page 395, part 4, Finding, Discussion and Narrative regarding Certain Sensitive National Security Matters,” he read. Page 395 is the first page of that chapter, and after that with few exceptions there is blank page after blank page, he said. One statement that appears on page 395 says it is possible that these kinds of connections between 9/11 and foreign sources “could suggest as written in a FBI memorandum INCONTROVERSIAL EVIDENCE (emphasis is Graham’s) that there is support for these terrorists” and then it is redacted. Almost a decade after putting the investigation to bed, Graham got pulled back into the 9/11 probe in 2011 when writers researching a book on the tenth anniversary of the attacks discovered that a well off Saudi family living in a gated community in Sarasota had contact with three of the four 9/11 pilots, including Mohammad Atta. As The Daily Beast’s Shane Harris detailed, the information was uncovered when neighbors recognized the hijackers from their photos as frequent visitors and told law enforcement. “FBI found direct ties between 9/11 hijackers and Saudis living in Florida: Congress kept in dark,” read the headline in a September 2011 story in The Miami Herald. The FBI field office in Tampa quickly refuted the story, claiming that a six-month investigation had found no relationship between the hijackers and the family, and that all documents had been turned over to the 9/11 Commission and the JICI (Joint Inquiry into Intelligence Community Activities before and after the terrorist attacks of 9/11). That was the inquiry Graham chaired, and he couldn’t recall getting any information about Saudi involvement in Sarasota. He called Porter Goss, his co-chair at the JICI, who had been a CIA agent and later director, “So he knows the territory,” Graham said. Goss didn’t recall any such info and neither did Lee Hamilton and Tom Kean, who co-chaired the 9/11 Commission and said they turned over all documents to the National Archives. Graham had a search done of the Archives and the Sarasota information was not there. He called the security officer for the Intelligence Committee and was told he needed dates and file numbers for a search. He called the FBI in Tampa to make the request, and about a month later, in October 2011 after the Miami Herald story had run, Graham checked in with the security official in Congress. A civil service employee, not a political appointee, he showed Graham the two files that had belatedly arrived from Tampa FBI, one from early in the investigation, and the other at its end. Soon after reading those files, Graham and his wife flew into Dulles Airport for Thanksgiving with a daughter who lives in Virginia. To their surprise, two FBI agents met the couple at the gate and guided them to where a third “higher up” agent was waiting to speak to Graham. At first, Graham said, he was encouraged as he was escorted to the FBI’s office at the airport, thinking maybe there had been a breakthrough. The FBI placed his wife, Adele, in a room by herself. When she asked for something to read, they gave her an FBI Training Manual. Then Deputy Director Sean Joyce, accompanied by a young female agent and a middle-aged Justice Department attorney, “told me basically everything about 911 was known and I was wasting my time and I should get a life,” recounts Graham. Fair enough, Graham said. Can I see this information? Joyce asked the young female agent to get the materials that provided the context, and a date was set for after Thanksgiving to meet in the FBI’s downtown Washington office. Graham arrived at the agreed upon time but when Joyce came in, he said the meeting is adjourned. He also told Graham to stop calling the Tampa agent who had authored the memos, and who had been transferred to Honolulu. “Not everyone is shocked that the FBI is not truthful,” Graham says with wry humor, and he credits investigative reporter Dan Christensen, founder of the Florida Bulldog, with filing a FOIA (Freedom of Information Act) request to get the FBI files. The FBI resisted, claiming the files were protected under a privacy exemption. “The three hijackers are dead, and the family is back in Saudi Arabia. Whose privacy are we talking about?” Graham exclaims, incredulous. The judge rejected that motion along with another equally unbelievable claim that the FBI didn’t have any documents to disclose after a six months investigation. Finally, in July 2014, the FBI turned over 80,000 pages and, as The Daily Beast reported last week, a federal judge is poring over them to determine which ones warrant public release. National security is the reason to de-classify the 28 pages, says Graham. “I think the country is paying a real price for withholding this information, emboldening them (the Saudis) to be the primary financiers of terrorists and the primary recruiters of terrorists through their madrassas, and this failure to hold them to account has been extremely damaging,” says Graham. Unlike his predecessor, President Obama has no personal ties with the Saudi royal family, lessening the potential for embarrassment, but there are policy implications to anything that roils a key relationship in the Middle East. With the potential for release next month, or certainly by the end of the Obama administration, answers to one of Washington’s most puzzling mysteries could finally come to light.